DebtCleanse Group Legal Services is launching to give ordinary Americans dealing with unaffordable debt access to tools and legal help to clear their debts for pennies on the dollar. “Most creditors then go through a time-consuming review process in which they determine the most that they can squeeze out of you and still keep you motivated and paying,” says DebtCleanse Founder and CEO Jorge P. Newbery. 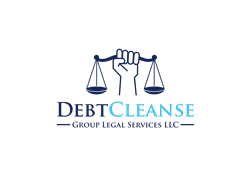 Debt is a growing problem in America, and DebtCleanse Group Legal Services just launched a solution that empowers people to break free of their payments and fight back against creditors and debt collectors. The DebtCleanse online platform is now available in 30 states and the District of Columbia. Members can login to debtcleanse.com and access tools to take control of their payments. When the time comes to seek additional help, members can connect with an attorney, receive a free monthly consultation and document review, and save 25% on any other necessary legal work. Traditional debt relief solutions like bankruptcy, debt consolidation, and credit counseling don’t do enough to help people burdened with unaffordable debt. Often the individual is left with a payment plan that still taxes their resources leaving them unable to pay for surprise medical bills or automobile costs - which is why two-thirds of chapter 13 bankruptcies fail. Other times they are locked into a plan of smaller payments over a much longer term meaning their total amount paid (including interest) in the end far exceeds what they borrowed. There are risks involved to assets and to credit scores using this method, however it is easier to deal with these factors than with decades of crippling debt payments. Especially since traditional debt solutions often end in loss of assets and credit scores anyway, and still leave people saddled with huge long-term payment plans. Everyday people have the power to challenge the corporate debt cycle, and DebtCleanse can help with online tools and access to affordable attorneys trained in this unconventional strategy. Newbery used these strategies himself to get out from under $26 million in debt without declaring bankruptcy after a natural disaster devastated his real estate business. Visit debtcleanse.com/debt-solutions for more details. DebtCleanse offers online tools and access to a network of affordable attorneys to help those with unaffordable debt assert their rights and clear their debts. The company aims to disrupt the debt cycle by challenging predatory creditors and giving ordinary people the platform to take back control of their lives and finances. Founder Jorge P. Newbery is author of multiple books including Burn Zones, DebtCleanse, and Stories of the Indebted. He is also founder and chairman of American Homeowner Preservation, an online investment community that strives to keep homeowners at risk of foreclosure in their own homes.